Bring lunch to life with the PlayDoh Picnic for 2 Adventure Pack. Whip up colorful eats, like pretend sandwiches, twisty pretzels and whimsical fruit salads. This PlayDoh picnic set comes with over 30 tools and 10 cans of PlayDoh to help your kiddo craft the perfect meal. 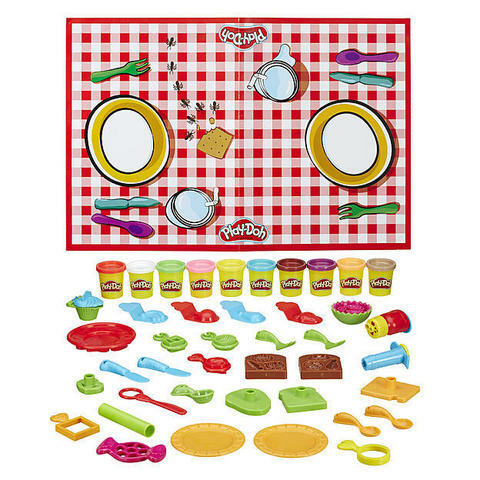 Set the scene and contain the creativity on the picnic-themed PlayDoh placemat. 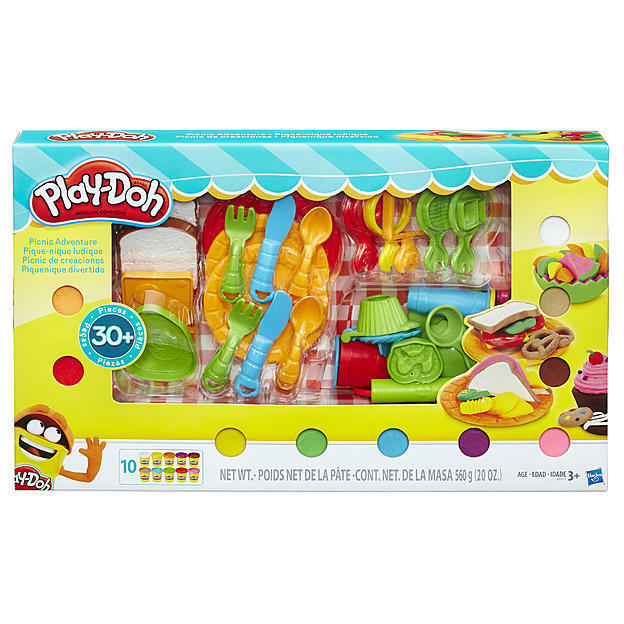 Bring more creativity to the table with this fun-filled PlayDoh pack.